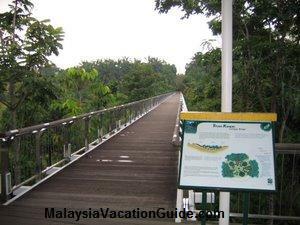 If you in Putrajaya, do take some time off to visit the Millenium Monument which is located on a 25 hectare park in Precinct 2. 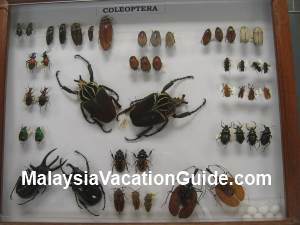 The park is located directly opposite the National Registration Department or Jabatan Pendaftaran Negara building. 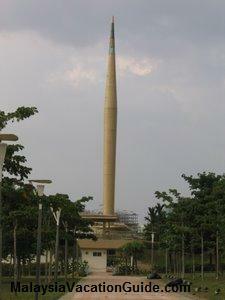 The 68 m high Millennium Monument was opened to the public on August 27, 2005. 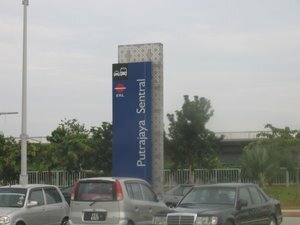 The first monument to be built in this new federal administrative city of Putrajaya, its distinctive hibiscus shaped metal structures was designed by world famous architect, Dr. Ken Yeang to usher in the new millennium Due to some unforeseen circumstances, it was only opened to the public on August 27, 2005. A few time capsules were placed into the tower site to be opened in the near future. The main pillar has a height of 68 m. Its main pillar has diameters measuring from 3 m at the base, 4 m in the middle and has a pointed tip. 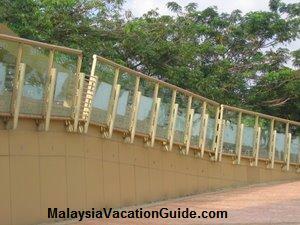 The monument was constructed of solid metal and strengthened with metal structures. 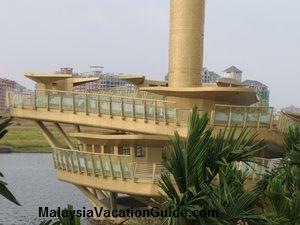 The Monument building is situated near the Putrajaya Lake. You will be able to see the signature bridges and other landmarks of the city from this Monument. As you walk up along the huge walkway of the Monument, you will be able to see the information that is engraved on the plates of the building. 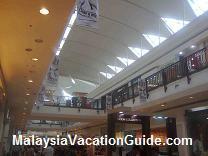 They provide a macro overview of the country's history starting from the Malacca Sultanate, the stories of local leaders who rose to fight for the independence of the country, the technological advancement of the country in making cars, the transportation system of the country and other mega projects undertaken by the Government of Malaysia. The success stories of Malaysia embedded here are a reminder to the younger generation of the sacrifices that the leaders of the country have made. 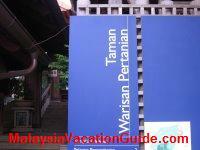 Notice the huge transparent signage that contained the information of the history of Malaysia. There is a big parking bay for you to park your car if you drive here. 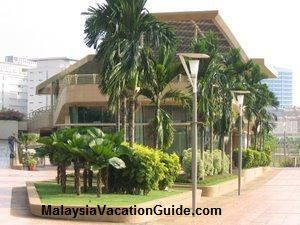 The parking bays are located beside the lake opposite National Registration Department building in Precinct 2. 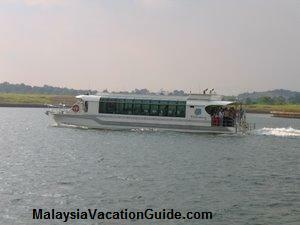 If you do not have your own transport to come here, you can take the Putrajaya Passenger Cruise Boat which will stop by this place as it makes its tour around Putrajaya Lake. 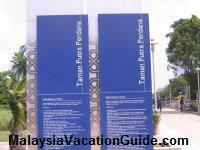 The departure venue is at Putra Jetty near Dataran Putra.